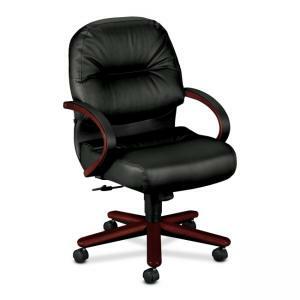 Managerial mid-back, swivel chair features quality visco-elastic memory foam in the seat cushion. Memory foam reduces pressure points, responding to contours of the body for lasting comfort over extended-use periods. Design offers laminated hardwood with urethane top pads, a five-star base with wood caps, and fully-upholstered outer back. Dual-wheel, hooded casters roll effortlessly and silently. 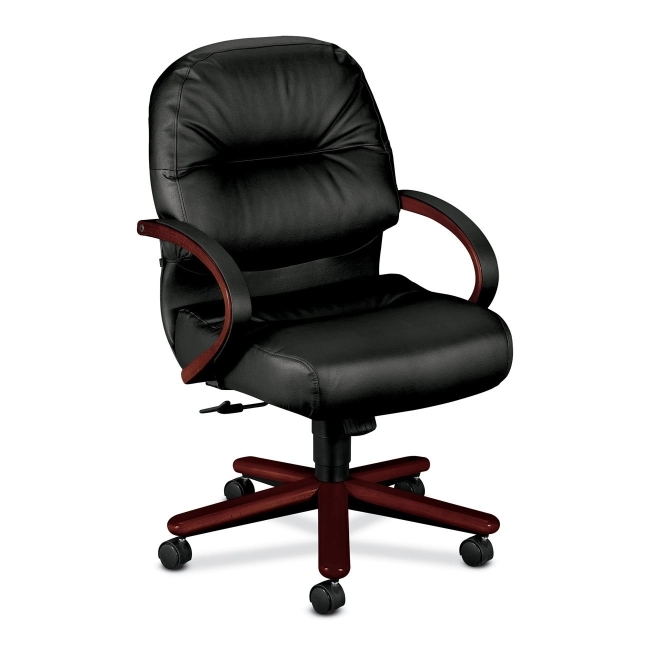 Functions include pneumatic seat-height adjustment from 16-3/4" to 21-1/4", 360 degree swivel, tilt, tilt tension and tilt lock. Usable seat depth is 18-1/2". Seat measures 22" wide x 21" deep. Back dimensions are 22" wide x 18" high. Chair is certified by SCS to be in compliance with specific air quality emission requirements. Meets or exceeds ANSI/BIFMA and ISTA performance standards.